Join CBLDF at WonderCon Anaheim This Weekend! WonderCon has returned to Anaheim this year, and we’ll be there to fight for the freedom to read comics! Find us at booth #1209 at the Anaheim Convention Center, March 31 – April 2, with a slew of signed goodies and more! WonderCon is a perfect opportunity to join CBLDF! Your contributions help us defend creators, readers, and retailers facing prosecutions, educators facing disciplinary action and censorship, and communities in need of legal aid. You can be counted as a CBLDF member for as little as $5 per year. You’ll also receive incredible thank-you gifts featuring the art of acclaimed creator Vanesa R. Del Rey! Get a global look at comics censorship from CBLDF! See how the new political climate is affecting free speech in the U.S., with increased scrutiny at the border an abundance of local challenges to comics addressing diversity and equality. Explore how cartoonists are being prosecuted, threatened, and intimidated by authorities around the globe for making art. 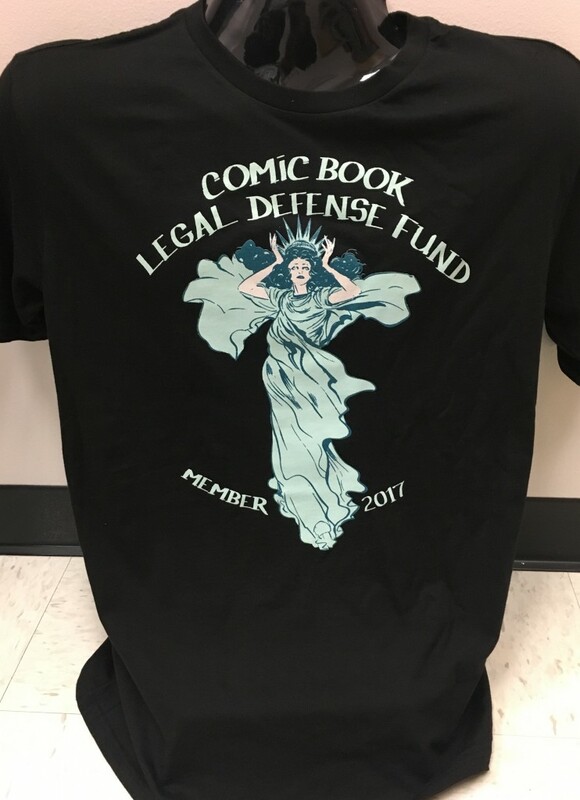 Learn how you can participate with CBLDF in making a difference and standing up for free expression! Celebrate creative freedom by seeing art made right before your eyes! The CBLDF Live Art Jam brings together a panel of comics artists, including Teenage Mutant Ninja Turtles co-creator Kevin Eastman, award-winning Shoplifter creator and cover artist Michael Cho, and other special guests, who will make art on the spot and share their perspectives on censorship and the creative process. Watch live art being created, learn about censorship, and bid to win the pieces made during the panel! All proceeds benefit the important free speech work of CBLDF. Meet the women who changed free expression in comics! From the turn of the 20th century to today, women have overcome censorship and more to make comics, inspiring today’s landscape of increasingly diverse and empowering comics storytelling. Cecil Castelluci (Shade, the Changing Girl; Odd Duck; The Plain Janes), Amy Chu (Poison Ivy, Red Sonja), Hope Larson (Batgirl, Chiggers, Compass South), and CBLDF Editorial Director Betsy Gomez (She Changed Comics) discuss the women who changed the format! Come be a #comicdefender at CBLDF booth #1209 during WonderCon Anaheim this weekend!